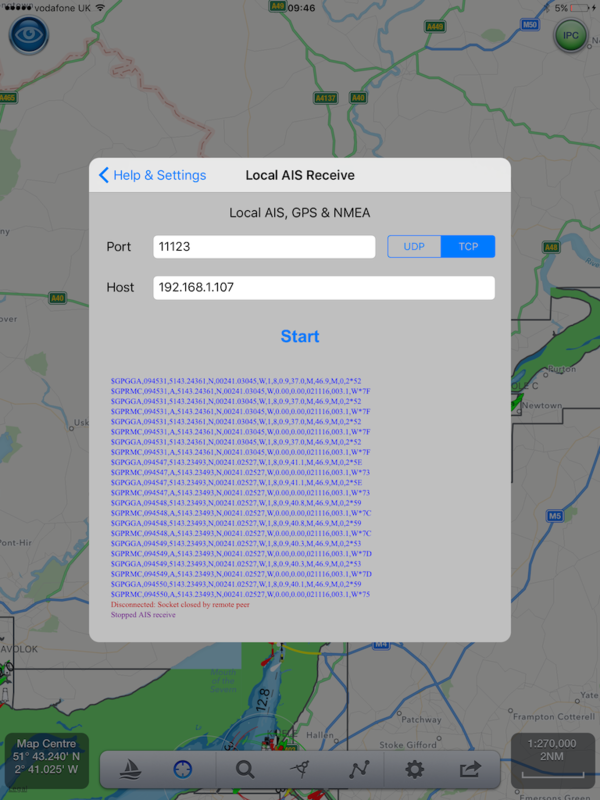 There is a really useful app called gps2ip that lets you share your gps position from your iPhone to SeaNav running on your iPad or MacBook when they are both on the same wifi network or the iPad is connected to your iPhone’s Hotspot. This is a way to get GPS on a Wifi only iPad or MacBook without having to use an external GPS dongle. 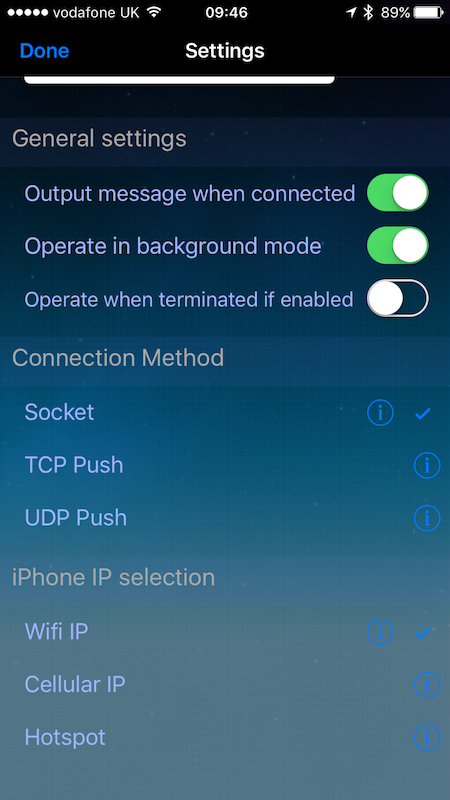 Here are instructions on how to set it up using TCP server mode where the iPad connects to your iPhone (the simplest and just 3 steps). N.N. If you are using your iPhone Hotspot please follow the UDP push connection instructions further below. 1. Download gps2ip to your iPhone from the App Store and start GPS2IP. 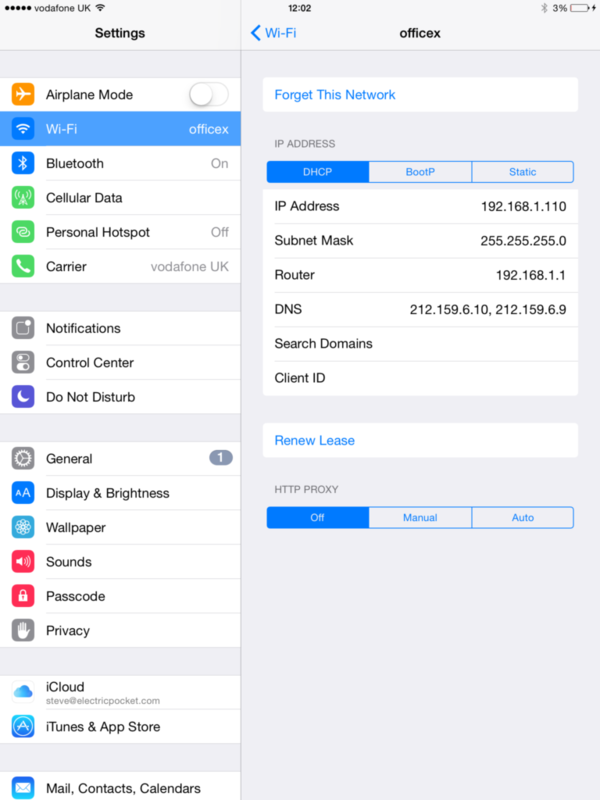 Note the iPhone Server IP address and Port number ( 192.168.1.107 and 11123 in the example below). Here is a link gps2ip on the App Store. 3. Tap the i button bottom right to go into GPS2IP settings, scroll down and check GPS2IP is in TCP Server mode (the default on a fresh install) and that it is set to run in background so you don’t lose the GPS if you go to another app or the iPhone screen times off. 3. 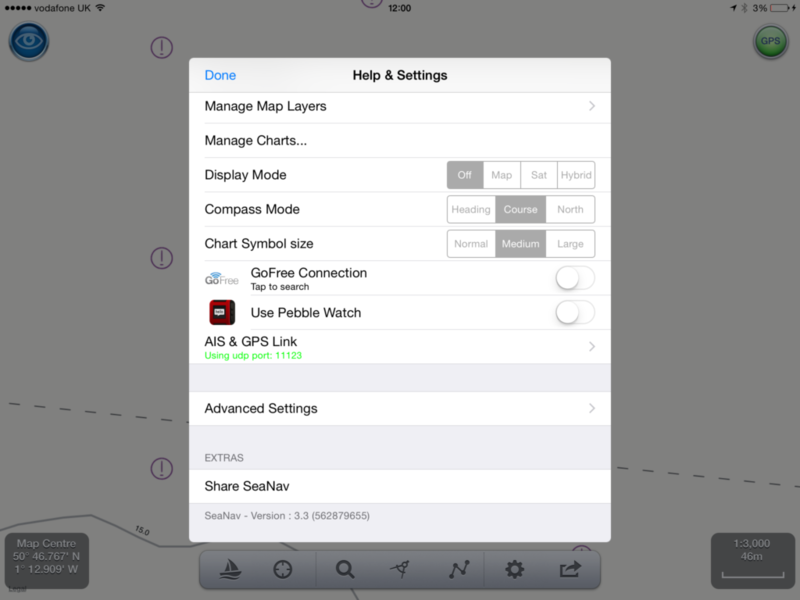 Go into SeaNav Settings on your iPad, Select the AIS, GPS and NMEA Link setting. Tap TCP to select it, enter the Port (11123) and Host IP address (192.168.1.107) noted from GPS2IP on your iPhone and then tap Start and the GPS data will start flowing. If not – go back and re-start gps2ip. and try again. 5. 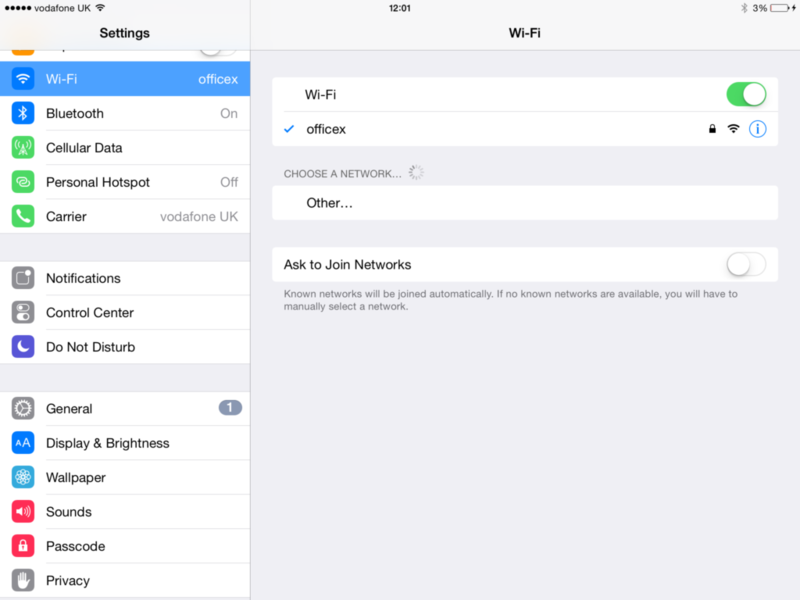 Enter the IP address of your iPad (e.g. 192.168.1.110) and leave the port number as the default e.g. 11123. 6. Tap done and then tap the UDP line to get a tick next to it. Tap Done.